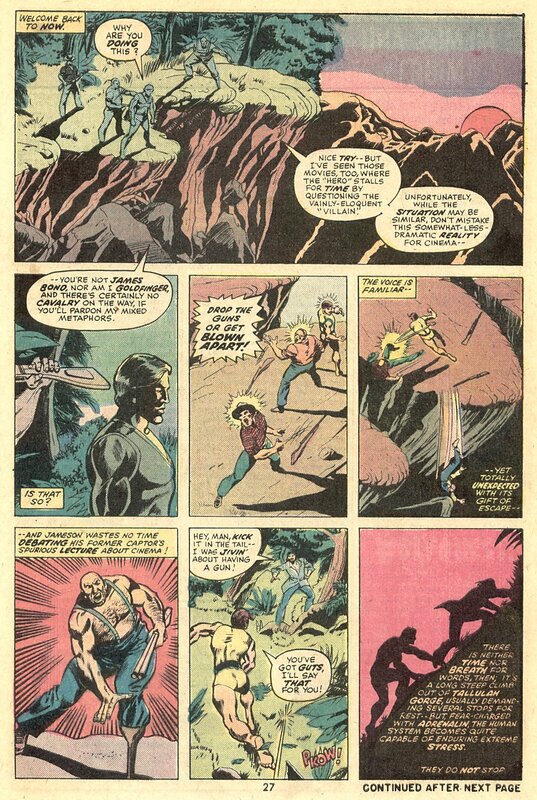 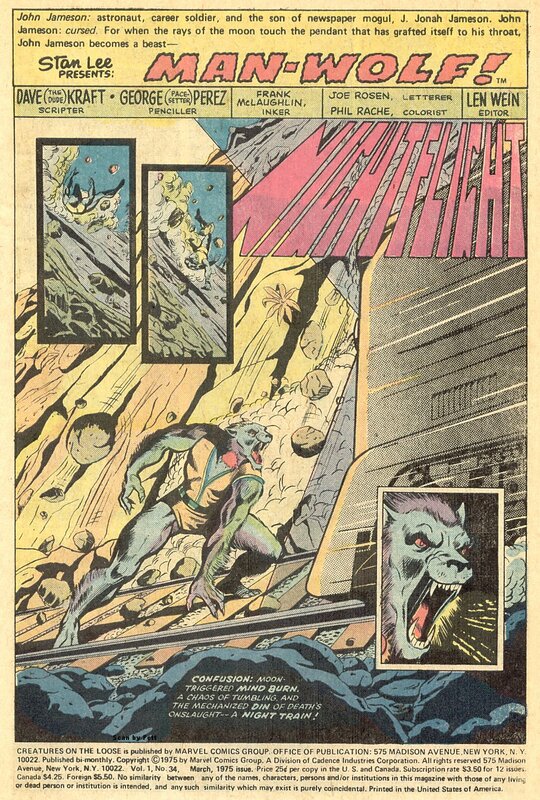 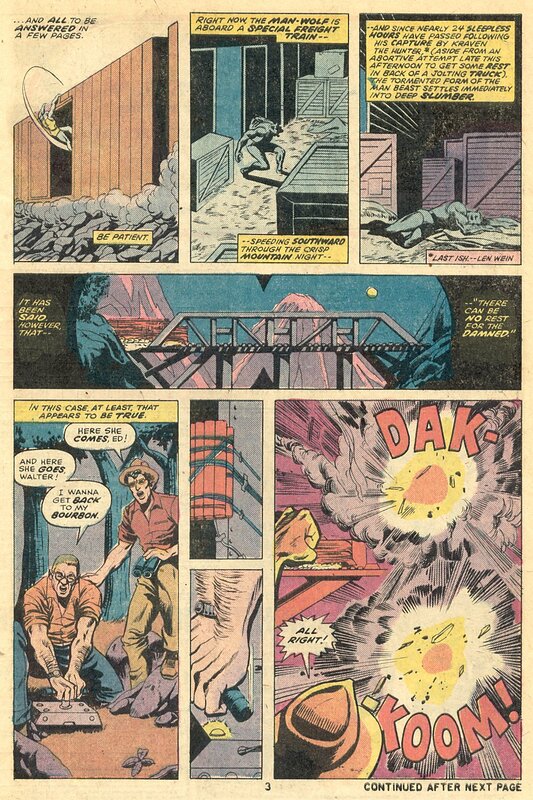 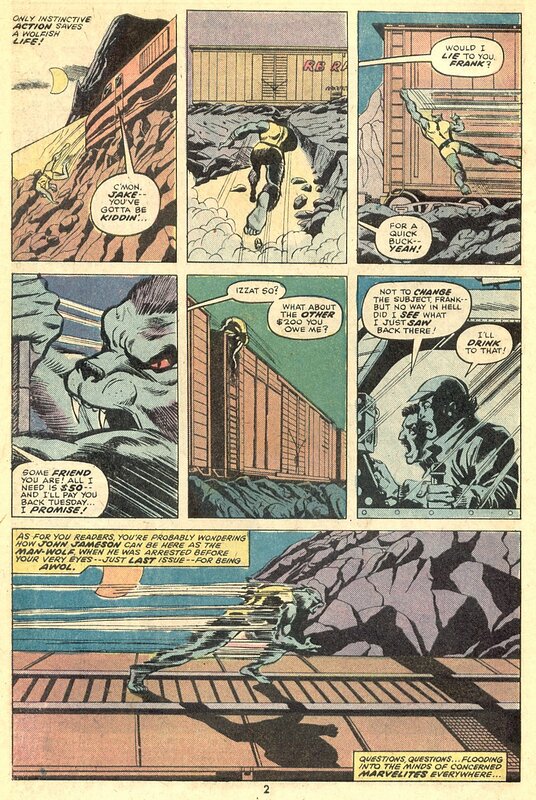 I always liked what Dave Kraft & George Perez did with Marvel's other lycanthropic hero Man-Wolf, and felt like, given time, it might've turned into something great. 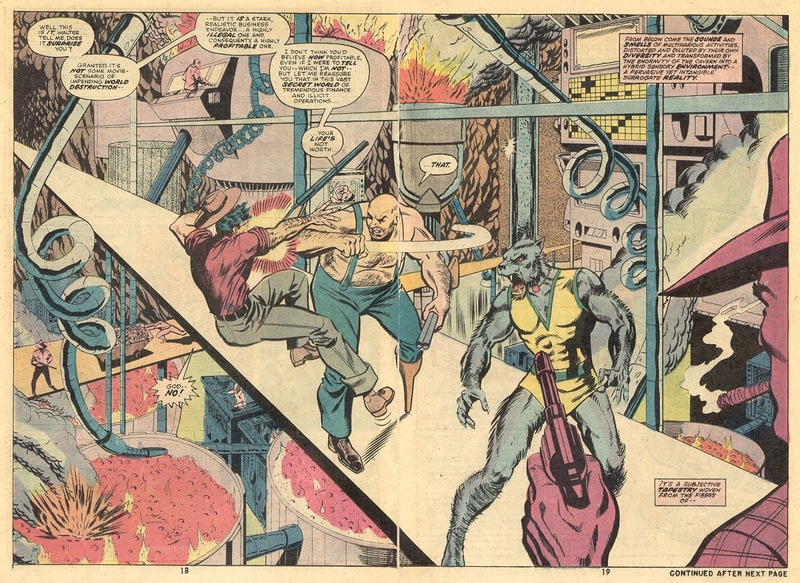 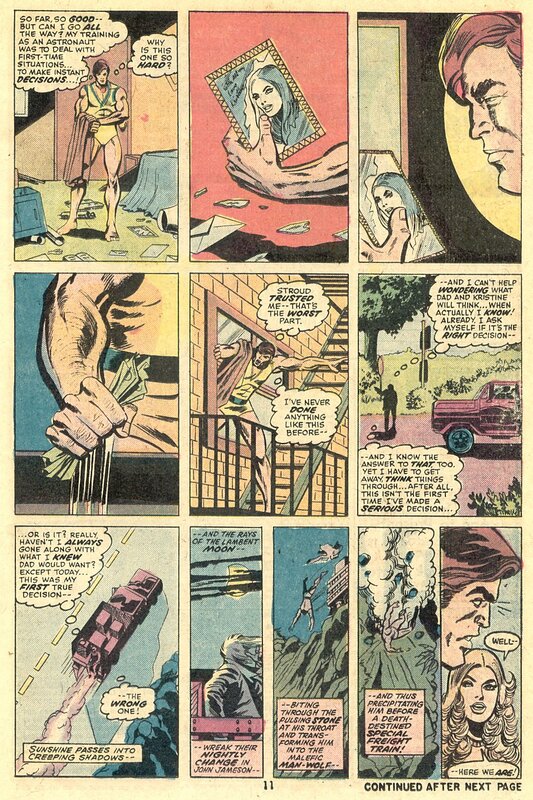 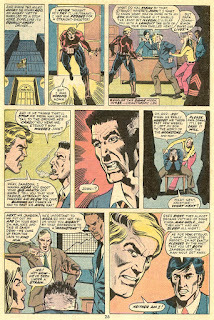 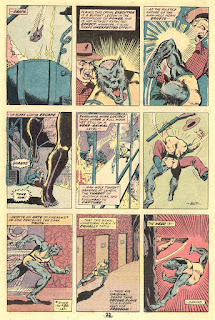 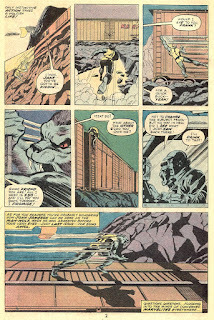 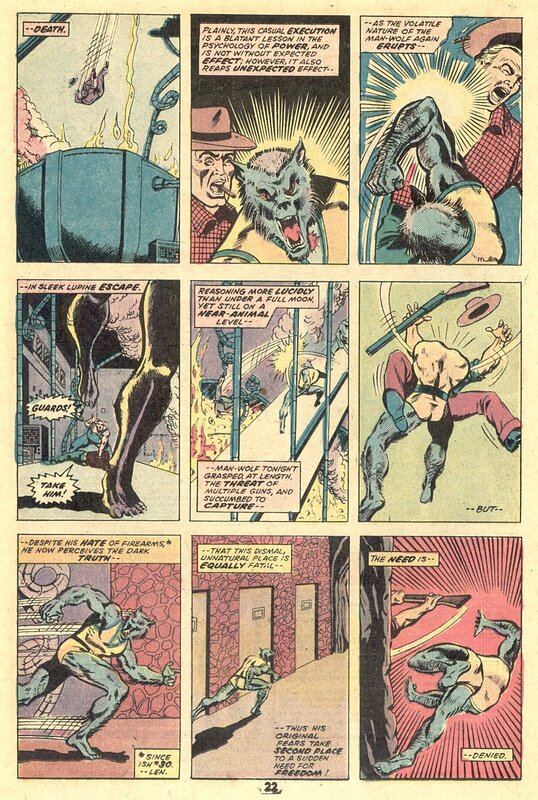 Ok, so J. Jonah Jameson's hairy son John was a bit of a square-jawed cipher at first, but Man-Wolf was visually different enough from Werewolf By Night to be worth a look. 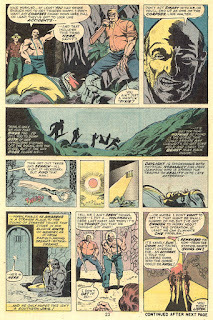 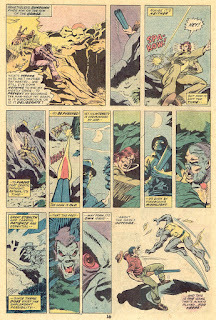 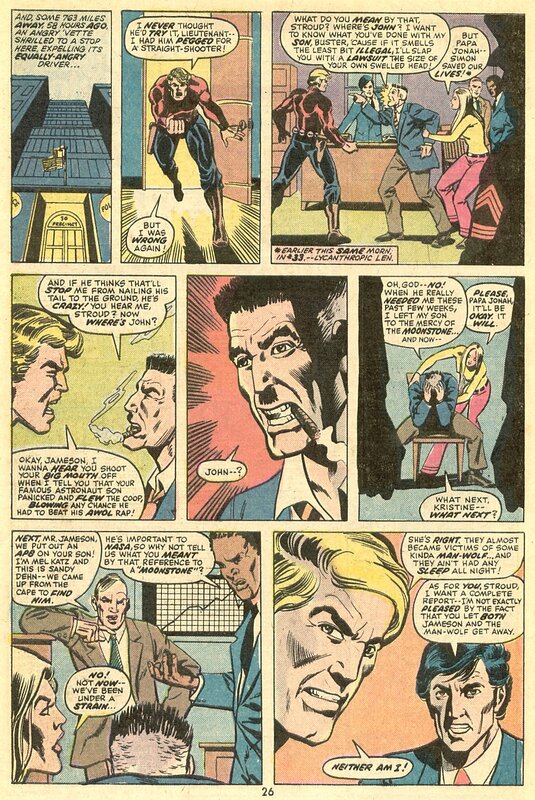 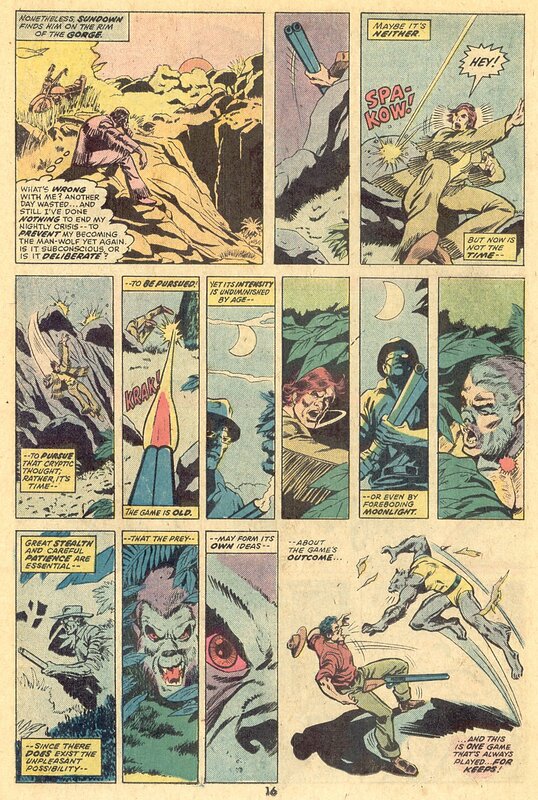 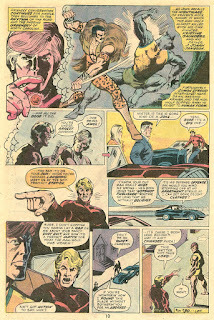 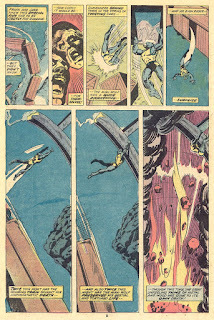 It also gave Dave a chance to give ol' JJJ a bit of depth, as he fretted over John's constant moonstone-inspired transformations, plus you also got shouty rent-a-monster-hunter Simon Stroud popping over from Morbius' strip, which was fun. 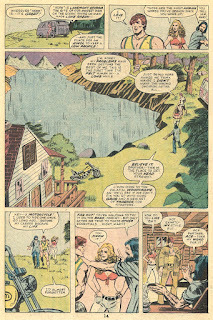 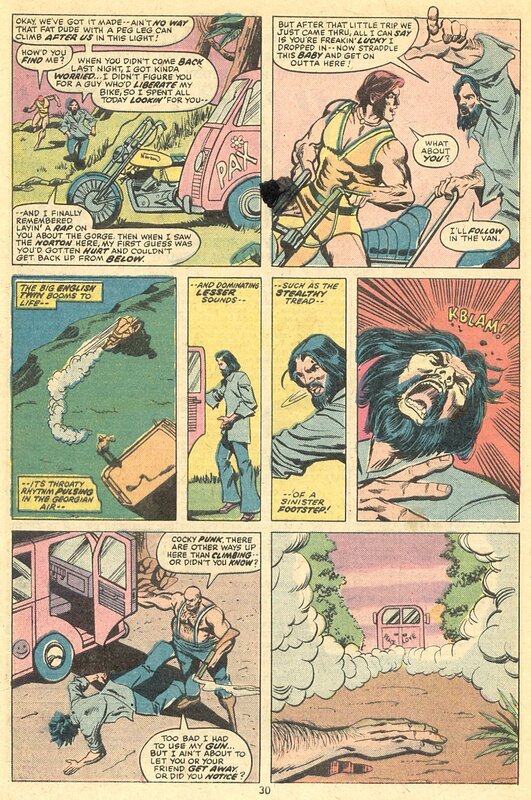 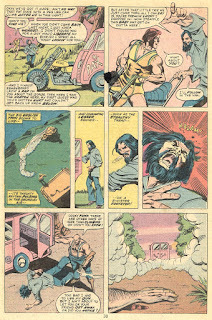 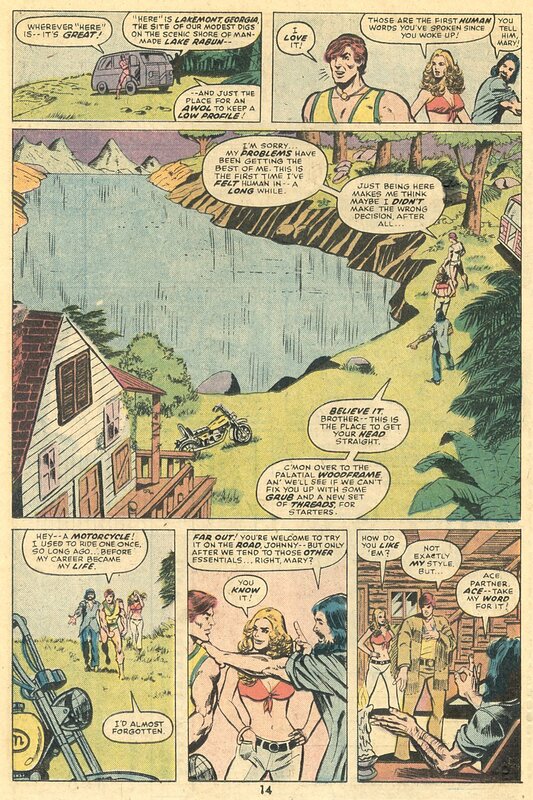 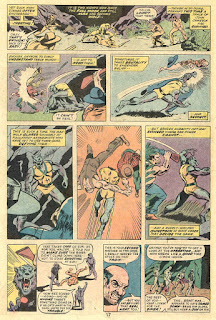 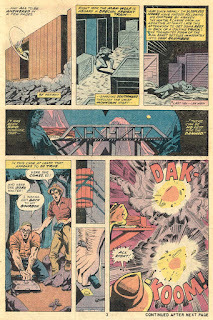 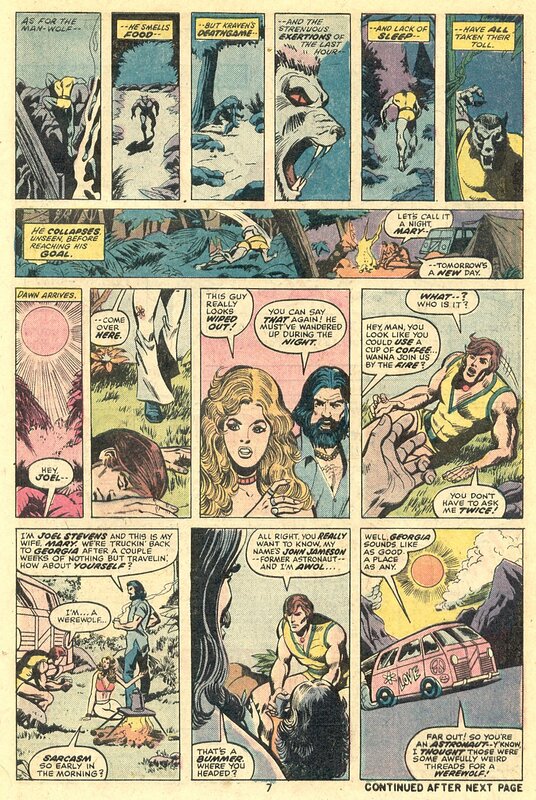 Like a lot of mid-level Marvel mags of the time, it's the incidental details rather than the main plot that make Man-Wolf, like in this issue, where John ( and his hirsute alter-ego ) hits the road, gets back to nature, and generally tries to get his head together man, along the way meeting a hippie couple who must've been actual friends of DAK's, so much time is spent on them. 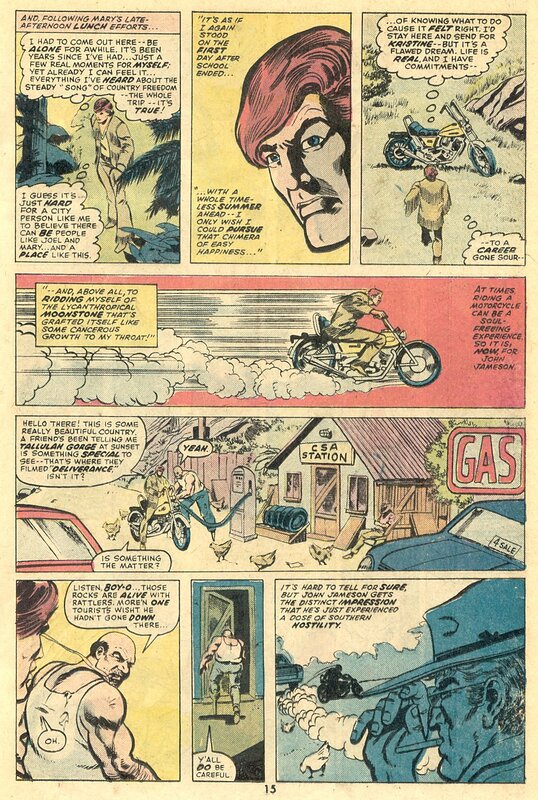 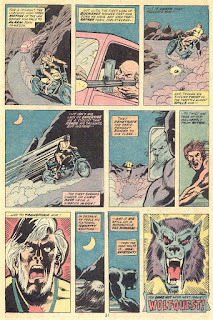 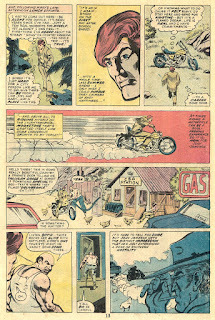 If anyone needed further reason for this series to exist, this particular issue also ends with Jameson about to change into Man-Wolf while riding a motorbike, because as we all know, there is literally nothing cooler than a werewolf riding a motorbike. 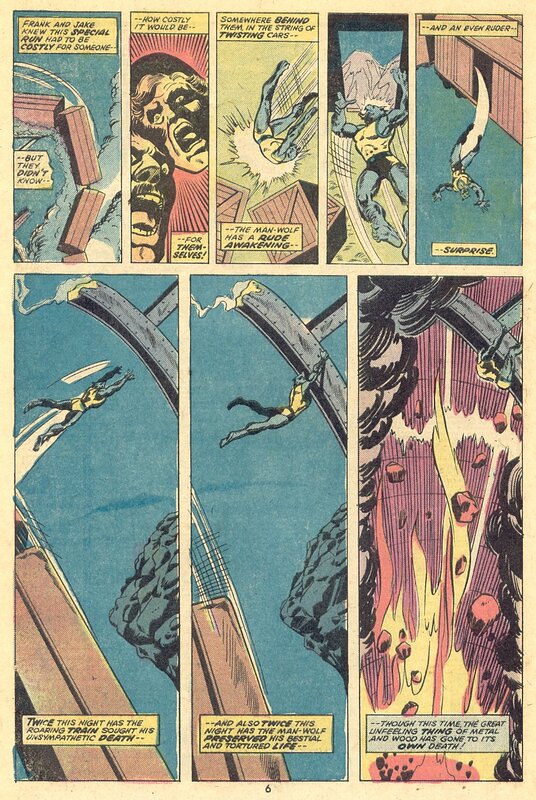 Nah, I can't leave you hanging like that. Here's the first couple of pages of the next issue. 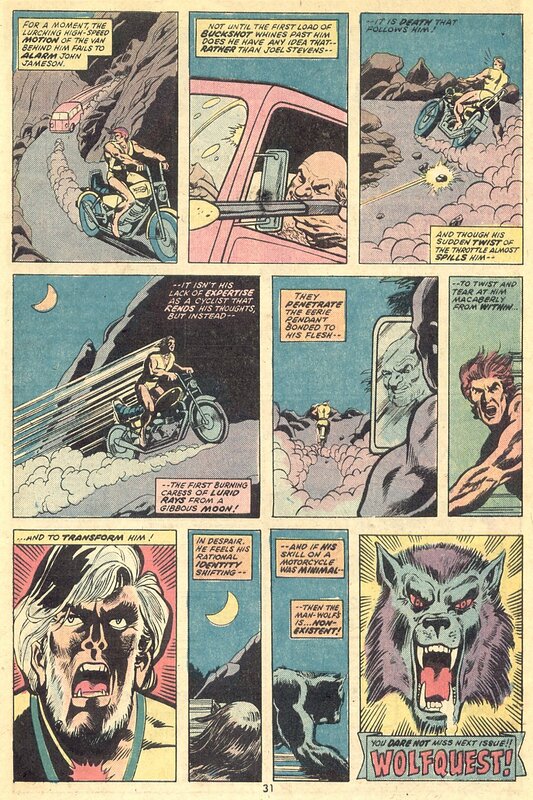 Because there is NOTHING cooler than a werewolf riding a motorbike. 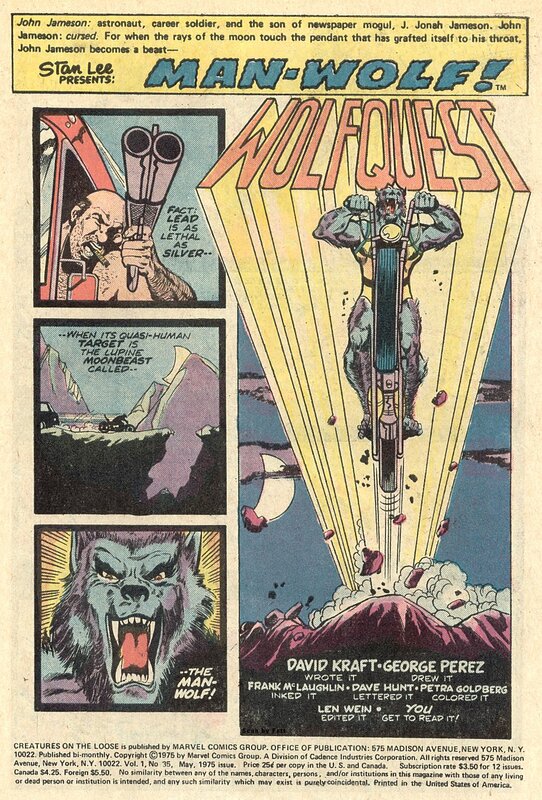 Well Pete, while I would agree up to a point about a werewolf riding a motorbike, might I humbly suggest a werewolf riding a weird flying reptile doing a Killraven impersonation (the werewolf that is, not the reptile) is cooler still? 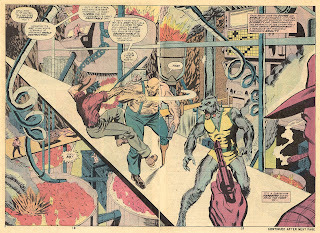 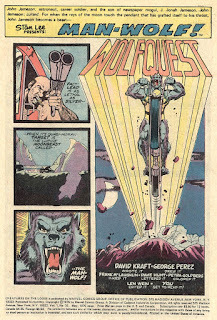 Its a matter of taste of course, but personally, much as I enjoyed those early issues, Man-Wolf got so much better when he went into another dimension and started doing the swords v. science in a world gone mad thing. 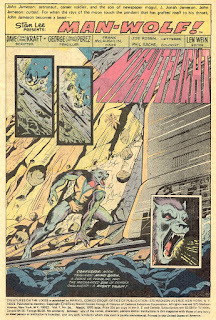 I was going to say a werewolf riding a dinosaur, but Sean kind of beat me to it. 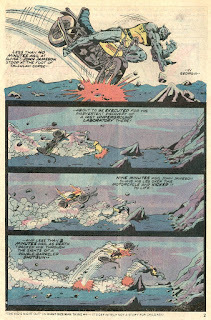 Yeah, I loved the later Man-Wolf story arc with the swords and dragons that was concluded in Marvel Premiere. 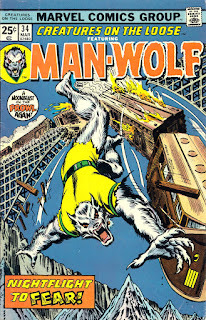 I wish all of the Man-Wolf material would get collected - should be a no-brainer, given all of that early Perez art, but it hasn't happened yet. 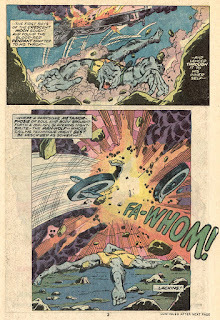 I did sort of set that one up for you lot, didn't I...? 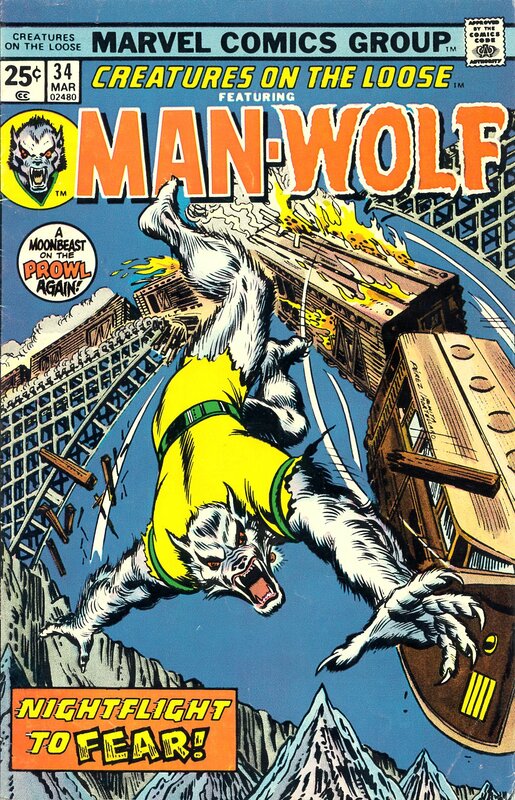 Natch, loved those two issues of Premiere also ( anyone ever notice one of Man-Wolf's sidekicks in those issues was a suspiciously familiar looking blonde warrior called Garth? ) 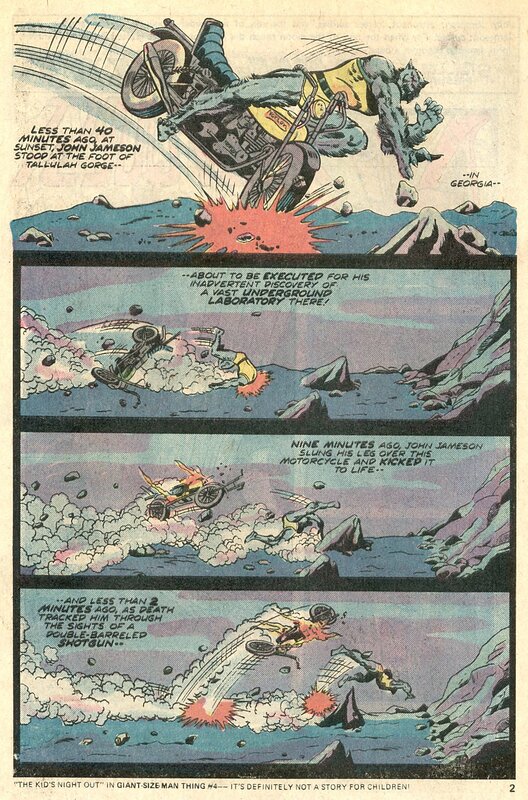 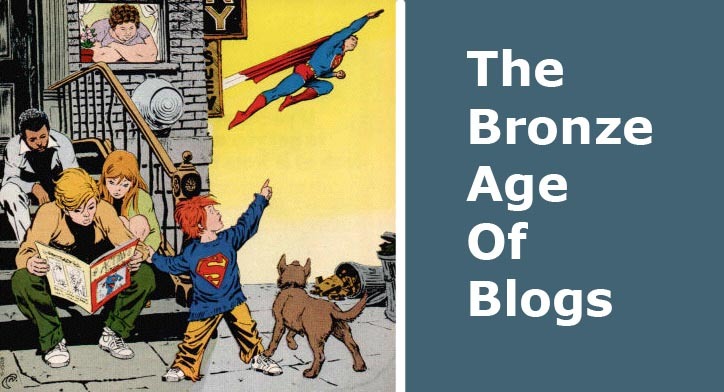 but that's what I mean about this series - it could ( and did ) go anywhere. 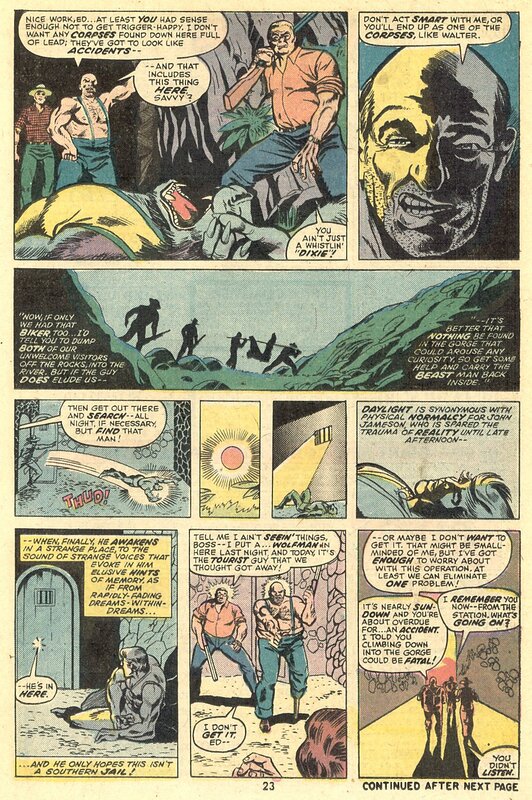 That slipped by me completely... although it does remind me that Frank Bellamy once draw a Garth story called The Wolf-Man of Ausensee. Good call, yeh, I'll put it on the list..